For the last 18 months, Amazon has been offering an exclusive £15 discount code for Amex Gold, Green and Platinum charge card holders when they spend £25 or more. This offer expires on 31st March unless it gets extended again, which is absolutely not guaranteed. If you haven’t taken advantage of it yet – probably because you didn’t have an Amex Gold or Platinum when it launched in late 2015 – this is your last chance. Part-pay for your order using Membership Rewards points. The sneaky option is to redeem just 2 points for a 1p discount. This saves you ‘wasting’ MR points on a low value redemption. You will only get 0.45p per point and you shouldn’t waste more than 2 of your valuable points on such a poor deal! (One comment below suggests that 10 points may be required, so 5p!). The Amazon link above (and here) pays HFP a small commission if you use it – thank you. You pay the same regardless. This offer is open to all UK American Express Gold, Green and Platinum cardholders. The comments below suggest that it does not work for American Express Rewards cardholders. Your Amazon account must have been opened before 28th October 2017 – creating a brand new Amazon account just to take advantage of this offer will not work. I did a long article on airport transfer group Blacklane the other day as it now gives miles in five frequent flyer schemes. It is a fast growing global provider of ground transportation services, operating in 250 cities across 50 countries. Via its website or app, you can pre-order a vehicle for a specific trip or by the hour. As of yesterday, there is a sixth option. You can now earn Singapore Airlines Krisflyer miles with Blacklane. The rate is 2 miles per £, $ or € you spend. There is a drop-down box during the booking process for you to add your frequent flyer details. You can also create a profile in the Blacklane system which will automatically apply your details. For a limited period, Blacklane is offering 10% off your first ride. You need to use promo code BL10. Blacklane has a slightly odd way of entering promotional codes. You will be presented with a page asking for your credit card details. After you type them in, there is an additional screen which asks if you have a voucher code. Add BL10 on that page and 10% is deducted from your quote. Your card is not charged until after the ride and you can cancel until 1 hour before pick-up. You can book, create an account or find out more about Blacklane on their website here. You may have received an email from American Express yesterday offering you £50 cashback if you spend £250 at Red Carnation Hotels. Assuming you were targeted, it is valid at their nine UK hotels for stays completed by 19th May. In London, they are dotted around Kensington and Belgravia – The Milestone, The Rubens, The Egerton House Hotel, The Chesterfield, 41 Hotel etc. The full list is here. What Amex didn’t remind you is that Red Carnation Hotels is a Virgin Atlantic Flying Club partner. Full details can be found on the Virgin site here. The standard earning rate is 2,000 Virgin miles per night. This is substantially better than any other Virgin Flying Club hotel partner. Virgin Flying Club recently announced that Red Carnation will cease to be a partner on 13th April. Oddly, the wording has now disappeared from the Flying Club website so I don’t know what is happening. Assuming it is ending, you still have three weeks to take advantage and £50 cashback PLUS 2,000 Virgin Atlantic miles per night is not a bad deal at all. The Red Carnation website is here if you want to find out more. OT – do you get the 18k referral bonus from Platinum for referring the Nectar Amex cards? Yes. referral for any card. Not any card, those new cards (AECC I think Rob calls them) seem to be excluded much to my disappointment. Sorry I should of clarified that to all personal cards. Business and corporate I am unsure about. Odd, possibly because the cards were not available when this promo launched. Will amend. I think the Costco card is excluded too but has it been scrapped? I remember reading something about it but cannot remember what. Thanks for the reminder Rob. Got to be careful about the items coming from Amazon. “Fulfilled by Amazon” does not work. A couple of SD cards for the holiday for a tenner instead of £25. Perfect…..
OT: Mrs S is waiting until June to apply for a MRG, she has a BA and is supp on my BA & Plat. Can I recommend her for the SPG to earn a referral then cancel and apply for the gold in 3 months? Yes! SPG is a different ‘currency’ to MR or Avios. Ot – I have three cc linked to my curve corporate debit card. Can I withdraw 200 pounds via each card? Or is the £200/month calender limit means I will be charged for more than 200? No. It is £ 200 /month per Curve card. No you can withdraw £200 per card per calendar month without incurring fees. Other posters have made the point that your other spending needs to be at level that makes the cash withdrawals acceptable. I am assuming that making utility payments counts toward this type of spend but it’s not been confirmed. +1 for playing fair with Curve. I use it for absolutely everything that isn’t Amex. I rarely need more than £200/month in cash anyway. My Curve is badly playing up now, working in shops (PIN and contactless) but useless online: ‘Authentication error’ for everything I’ve tried since Sunday. Curve support unable to work out what the problem is, but it is very consistent. 🙁 Hope they fix this soon. Which retailers are you having problems with? > Which retailers are you having problems with? All of them! Tried HMRC, a couple of others, then when I couldn’t make a low-value purchase from Argos, who is one of their partners, I realised it was properly broken for all online purchases. My only real interest in Curve is to pay HMRC etc. I’m slowly trying to build up Curve usage to increase limits to do this. If people are finding paying HMRC is no longer an option going forward I will ditch Curve for the second time. Can people trying to pay tax with Curve drop a comment in now or then to let the rest of us know how HMRC payments are going? Did £1700 last week no bother. @Leo what would you lose by not using Curve? I use for all non Amex spend where don’t need S75 protection as I quite like the functionality of the product. @Genghis The problem with using curve as your go to card is that it reduces the max £50K you can use it at HMRC. As that’s the main draw for me (and I spend over £50K annually at HMRC), I can’t use it regularly on places that accept credit cards. @BLT fair enough. I don’t have that “problem”. But so far, how much have you used Curve to pay HMRC? Are you just using it to pay HMRC? Got many linked, including Lloyds Avios, MBNA Virgin and HSBC — makes no odds what is chosen at the time of the transaction, online fails and there’s no indication of a decline in the app. I suspect curve have blocked certain payees – similar to what happened with 3V. How long have you had your Curve account? Hmrc payments seem ok for accounts that are older but Hmrc declining for newer accounts, wouldn’t surprise me if they have put a minimum account opening time before some payments can be made. I did get a payment through HMRC in January, just for such a small amount – £200, I couldn’t be bothered to make multiple payments in such small stages! I’m hoping to get a slightly larger amount through by July. @Genghis yes it’s fairly nifty but I only use the IHG card and amex so I don’t feel the need to use Curve for the sake of it. @Genghis I kept the original Beta card until swapping for a debit card in February. My PAYE is around 4-5K a month and have managed to do that over the past couple of months (in max 2k chunks per day). It’s a good problem to have, Prior to HMRC changing the rules I just used my IHG premium card and achieved Spire through HMRC spend. I have used this offer before on my account, however it was on an old Gold Card – will it only allow the offer to be redeemed once per Amazon account, even if you use a different credit card? I have got the same message and I have not used the promotion before. What might I be doing wrong? I have linked my amex gold card. applied £0.01in points then added the code. There is £31 of product sold by Amazon EU. Not sure what else I might be doing wrong. 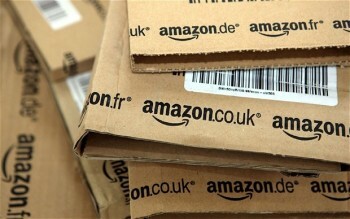 update: Went through Amazon.co.uk contact us (used chat) for help. It turns out one of my items was used and from Amazon Warehouse Deals which wasn’t eligible. I changed to a new version of the same item and the promotion worked. all sorted. Thanks, glad it worked in the end. The Amex Shop with points one, that is!